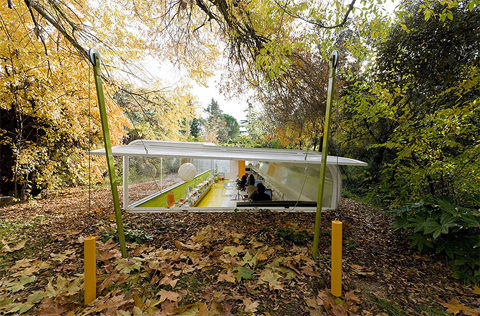 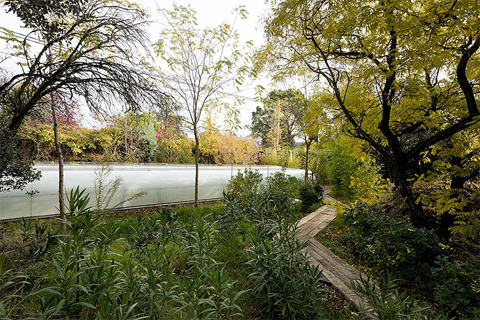 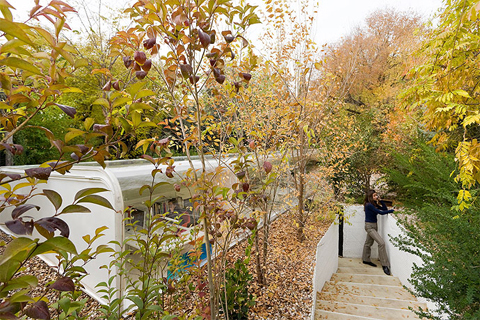 Spanish architecture firm SelgasCano has designed their own office in the middle of the woods near Madrid. 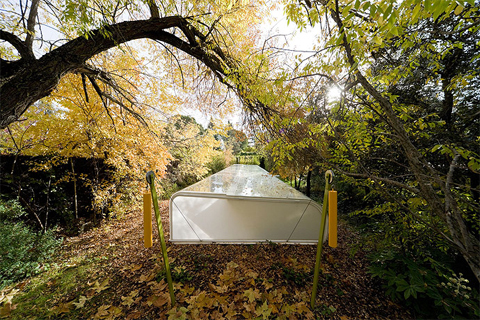 A curved window made of transparent acrylic forms the north-facing wall of the tunnel-like space. 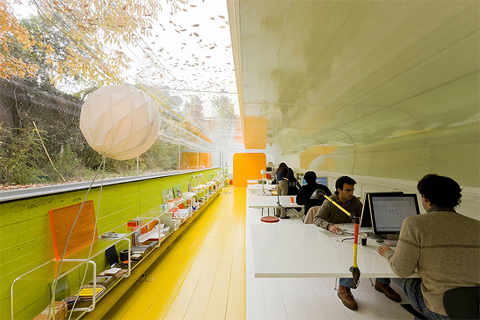 The opaque, south-facing wall, offers shade to the working area from the direct sunlight. 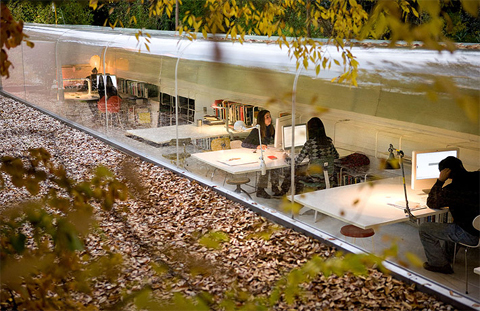 The office is provided by a weighted pulley mechanism at one end of the tunnel that allows varying degrees of natural ventilation.